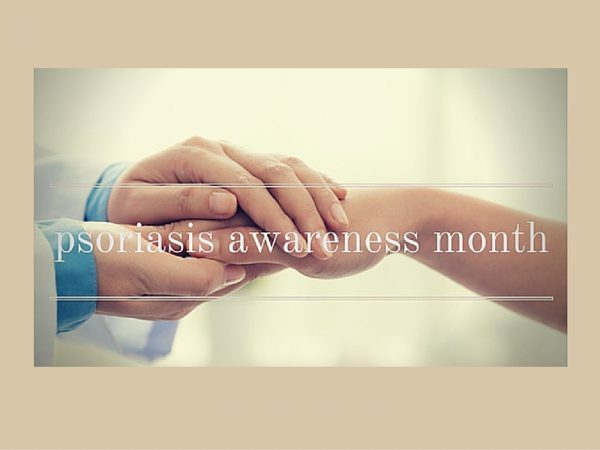 Psoriatic disease is an autoimmune disorder that manifests visibly on the skin. It can be very uncomfortable, itchy, burning and painful. It can inhibit social contact not only due to appearance but also because of the common assumption that it is contagious. The good news is that while we haven’t found a cure for psoriatic disease yet, we do know there are steps you can take to improve your health. That is the theme this year for National Psoriasis Awareness Month. This important national observance is every August and is sponsored by the The National Psoriasis Foundation, a non-profit organization with a mission to drive efforts to cure psoriatic disease and improve the lives of those who are affected by psoriasis physically, emotionally and socially on a daily basis. For the community of people affected by psoriasis, there is a strong focus on the big picture, looking forward to the beneficial results of psoriatic disease research to find a cure. However, just as importantly, the focus is also on the day to day aspect of living with this challenging condition. Despite that challenge, taking small steps to improve your overall health can have a very positive effect, helping you to feel much better on a daily basis. This is the idea behind this year’s Psoriasis Awareness Month Wellness Challenge which is a month full of positive and practical wellness tips just for those who are trying to live a life that’s as healthy and happy as possible, while struggling to manage this disease. If you or someone you know has been diagnosed with psoriasis, this month is a great opportunity to share stories, experiences, hope and even our own wellness tips with one another. If you are experiencing symptoms but you’re not sure if it’s psoriasis or not, it’s important to get a diagnosis as soon as possible along with a personalized treatment plan if needed. At this time there are several treatment options available for relieving the symptoms of psoriasis plus some are currently in development. “The newer “biologic” treatments for psoriasis are an exciting advance in treatment.” says Dr. Michelle Chambers of Forefront Dermatology in Columbus Ohio. To get an accurate diagnosis or to determine treatment options are best for you, always consult with an experienced dermatologist. At Forefront Dermatology we understand the impact psoriasis can have on your life. Give us a call at (855) 535-7175 to get more information on psoriasis, or to make an appointment at any of our locations.